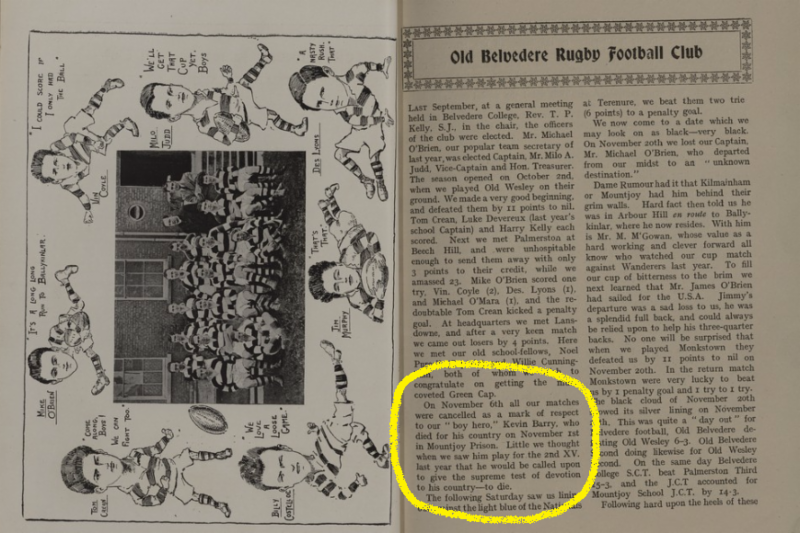 This Thursday 21st December the annual match between Old Belvedere Under 20s and Belvedere College SCT will be played at Anglesea Rd - Kick off 7pm. at the age of just 18 years. 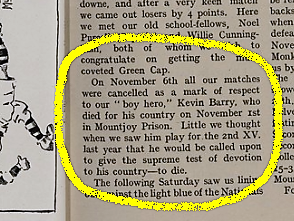 Attached is a poignant extract from the account Old Belvedere's 1920/21 season which refers to Kevin Barry's execution. 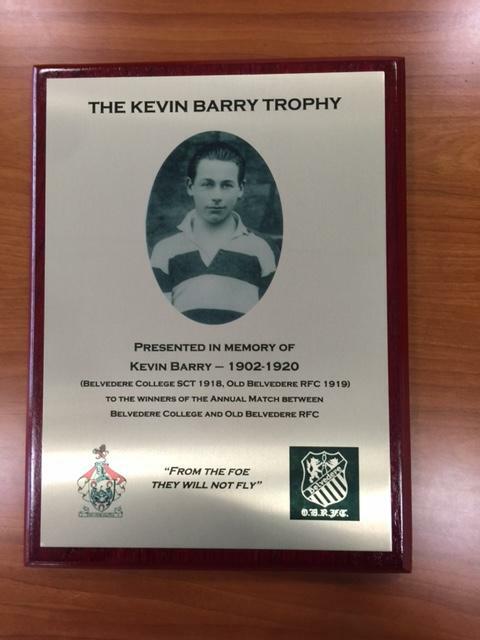 The quote on the trophy - "From the foe they will not fly" - is a line from the Ballad of Kevin Barry. of the club is named after Kevin Barry and we will honour that heritage in a match with players who will hopefully represent the future of our club. in the clubhouse followed by the presentation of the trophy.